19 posts categorized "Get In The Game - Gaming"
This is a second home run for team dexter. First it was the Find Dexter. This crime solving video game is something a bit more sophisticated and just as fun. Adidas does a fantastic job of galvanizing its Facebook followers into action with a new turn-based game challenging players to capture big soccer cities. Connecting via Facebook, players are launched into head-to-head battle with members of the adidas Football online community. Once a player picks their city, they are transported to a Google Maps-style view of the urban sprawl, divided into hundreds of segmented areas. 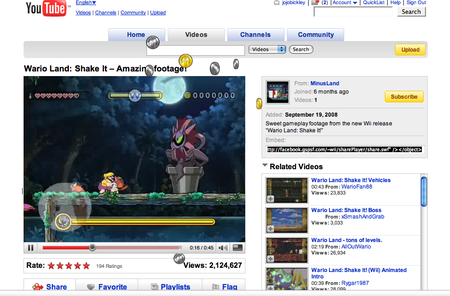 It is up to the gamer to then claim these territories in text-based, one-on-one battles by attacking the space-holder with a choice of three skills, then defending the spot from new challengers with three blocking moves. More than 3,000 players were using the game prior to its official launch via the adidas Football wall and its 2.3m followers this week. I love this spot! A simple idea that speaks to all gamers. There is racing for kids and now there is Blur. "Race Like A Big Boy"
This is one to watch! This is the first stage of a Nike journey that will ultimately see fans around the world write their own future through experiences that put them at the center of the action. In June, fans will be able to live like their heroes through a unique experience on nikefootball.com that generates ripple videos and visuals from their own photos and information, placing them at the center stage. It was directed by renowned Hollywood director and producer Alejandro G. Iñarritu (21 Grams, Babel). Footballers can use this creative to build their own Facebook campaign to get noticed and selected for “The Chance” – an elite Nike Academy football camp in partnership with the Barclays Premier League in England that allows players to get scouted and get noticed at the highest level of the game. When have you seen any piece of technology fuse one generation of people to another in a way that they can all actively participate in one mission? Its a rare occurrence. I found that fusion with The Beatles: Rock Band. I had to keep myself from spontaneously belting out "All You Need is Love..." in a room full of people. My parents still reminisce about watching the Beatles on Ed Sullivan Show. Now with The Beatles: Rock Band, my parents can sing and share the Beatles with their grandchildren on just about any game console. The cross over in technology and music is one of the most fascinating parts of this new generation of Beatles' releases. The one thing I love about The Beatles: Rock Band is that it allows you to pick up the guitar, bass, mic or drums and experience The Beatles catalogue of music through a global game of karaoke that takes players on a journey through the legacy and evolution of the band’s legendary career. This is also the only place you can get The Beatles music for download onto a digital device. If you looking to have some quality family time this winter, I highly recommend The Beatles: Rock Band. Its has been a while since my kids have watched Sesame Street... But they did. I am still convinced that Rebecca and Rachel learned the alphabet from the cast of characters designed to teach via entertainment. 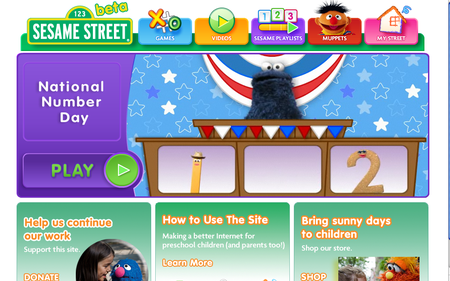 So when I returned from vacation to find a press release about the new Sesame Street site in my ON:InBox, my interest was peaked to see how the geniuses at the Children's Television Workshop approached digital engagement for kids. Not much has changed. Their TV success has now transitioned and converged for the generation who lived converged lives. Preschoolers online is their target and they do amazing job creating an engaging educational content for kids. The new SesameStreet.org, is a meaningful interactive experience that takes their best practices and content and expands them in ways that most have not thought about before. The site was designed for both parents and their preschoolers (the primary audience) without the typical use of toggling between content. They are both addressed, instructed and entertained in the same interface. The use parent tips are smart. 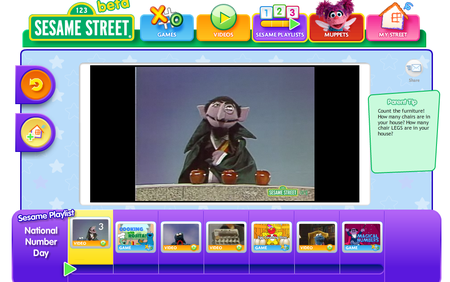 The 2 years of ideas, research and $14 million dollars later, SesameStreet.org lives up to its brand of education for pre-schoolers like no other site I have seen. What's more important than fresh breathe? Nothing, if you are about to set the stage for a meaningful kiss! The Mentos launch of “Kiss Fight” (much like fight club - accept we talk about kiss fight) has really got the right formula to increase product volume and velocity with a creative idea that puts their product between you and the perfect kiss. 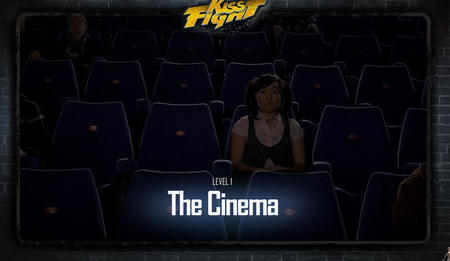 Kiss Fight is smart and in touch. Now that I have a teenager who is at the "Kissing" age – I have found that it is no longer the sappy act of the perfect kiss. the kissing kids are looking for the best action kiss. Mentos has done a great job of evolving the sappy to the fresh moves category. A fresh move is about taking the sublte to action and carpe diem! Sharpen your eye for the moment when you an seize a kiss at http://www.mentoskissfight.com I highly recommend you playing through to the hot mom / cougar / M.I.L.F moment.